This recommendation originally posted on Pimples, Popularity, and Protagonists in September 2010. My love of this series is still firmly in place!!! I put all of the books on hold at my local library and waited until I had them all to start reading. Then, when they were all finally in, I tore through all nine books following Angus… in a matter of ONE WEEK. 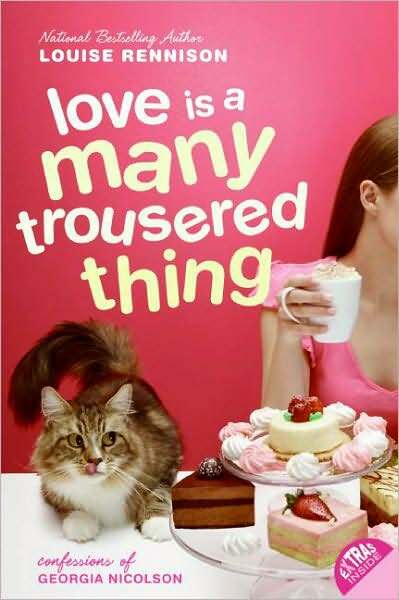 Several times, as I was reading in the evenings while my husband was watching TV, I would seriously laugh out loud at the sheer hilarity of the books. 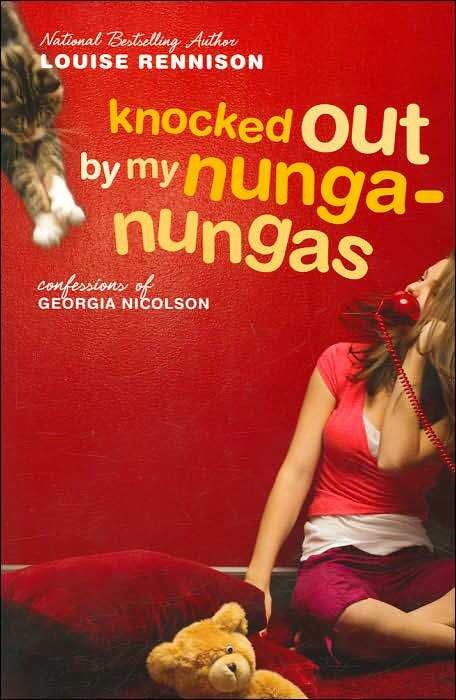 I’m seriously considering buying all of the books so I can reread them whenever I need to have a good laugh. A note about content – some of the titles sound a bit risque sexually… but the content is not. 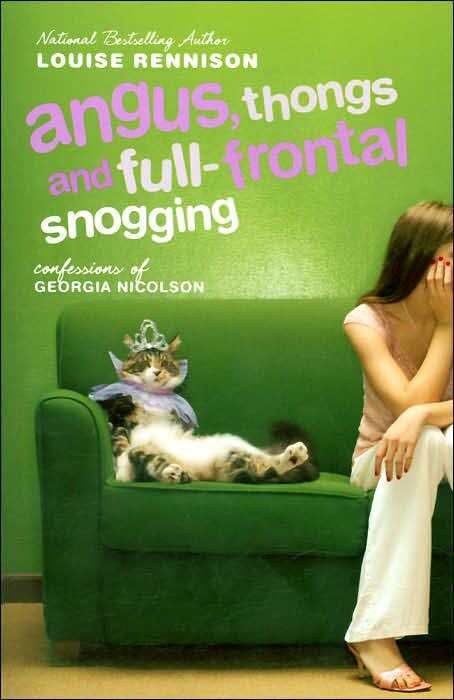 Though all of Georgia’s friends are preoccupied with boys and the constantly rate themselves on a “Snogging Scale” (snogging is British for kissing), the girls never do anything beyond kissing with their boyfriends, and there’s very little inappropriate language in the books. 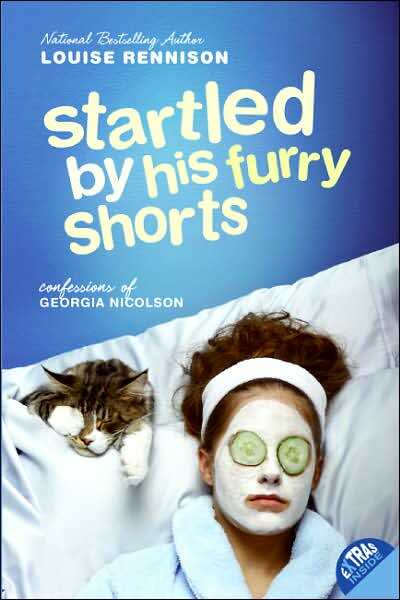 Out of all the young adult series I’ve read, this one is pretty clean. Basically, in the series, (don’t worry – no spoilers – this is VERY general) Georgia Nicolson and her group of friends navigate their way through a year or so of school at Stalag 14, an all-girls high school. The group calls themselves the Ace Gang, and they are absolutely hilarious together – constantly trying to pull little pranks, getting in trouble, and torturing the school’s staff. Georgia’s family is crazy (maybe certifiably) and full of funny situations, and Georgia’s love life is, well, complicated but constantly interesting and exciting. 9. 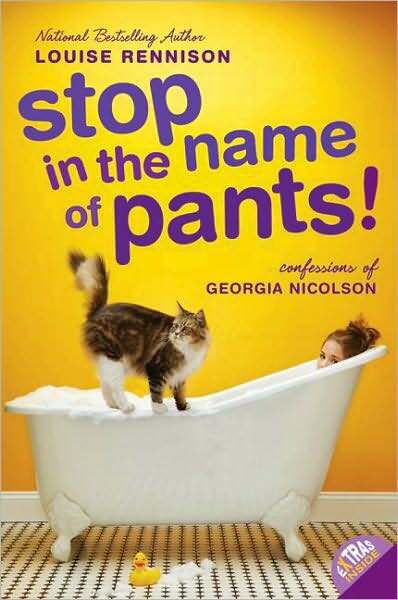 Stop In The Name Of Pants! 10. Are These My Basoomas I See Before Me? I am trying to get my hands on the entire series. I have the last three, all first editions, hardback. I’ll get there eventually! :P I’m bookmarking your post until then. I don’t want any spoilers….